FWC Asks for Help With Horseshoe Crabs (The Ledger). Bill would aid animal shelters (Palm Beach Post). Pollo Tropical drops hormones from Florida Restaurants (South Florida Business Journal). Injured Bobcat Released into the Wild (Jacksonville Times Union). Fla. Politicians Take Steps To Rid Everglades of Invasive Pythons (NBC 6). Brothel Bust yields Gopher Tortoises (13 News). Freshwater Turtle Harvest Limits Sought (The Ledger). 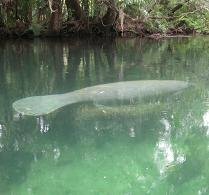 Troubled wildlife sanctuary closes (Tampa Bay Online). Woman attacked by cheetahs (TCPalm).